Transformation Volume 2 by Yogi Bhajan takes you on an amazing journey – a journey which along the way will show you how to develop your intuition and to gain insights into your relationships with others, and finally lead you to the experience of your destiny. 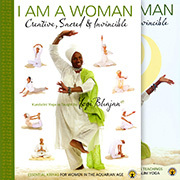 Kundalini Yoga is all about personal transformation, and this book continues the process commenced with Transformation Volume 1. It introduces the concept of being of service, a gift which can free you from your ego and allow you to expand and merge, beyond the Self to those around you, and ultimately to the Infinite. The capacity to serve will expand along with your growing spiritual maturity. As a teacher and healer of the Aquarian Age, your service is to be looked upon as a gift, the fruit of your practice and the jewel of your personal inner transformation. 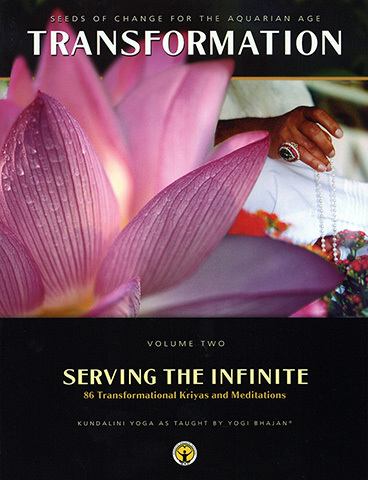 The 86 advanced kriyas and meditations, many of them drawn from teacher training courses and never previously made available in this way, are organized both to facilitate your personal practice and deepen your experience of the Infinite, as well as to assist teachers in developing their own classes and workshops.